Fertrell is committed to sustainability in their practices, quality in their products, and organic certification across their entire line. 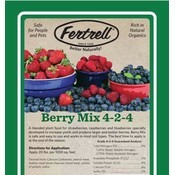 Their Berry Mix is specifically formulated with natural ingredients to give you the most delicious berries! 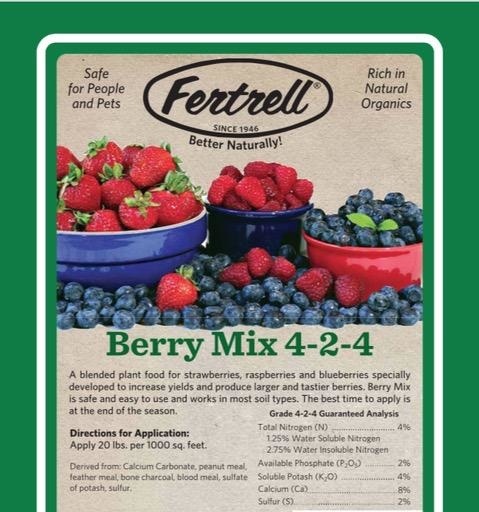 Fertrell's Berry Mix is an easy to use, safe, all natural fertilizer aimed at increasing berry yields, improving flavor and quality, and improving the overall health of your fruiting plants. This blend works well in most any soil type and doesn't need any special equipment to apply. This product is best applied at the end of the season and contains a blend of macronutrients as we as Boron and Zinc.